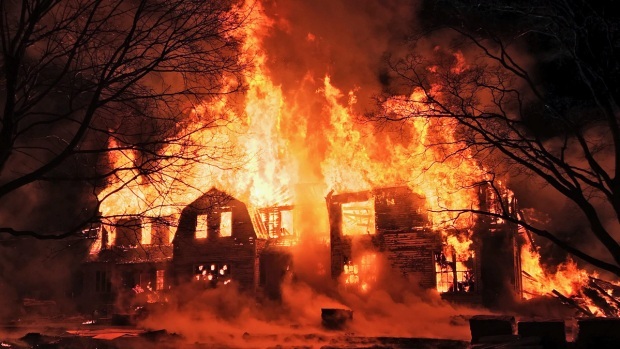 A historic estate on Long Island was destroyed in a fire Monday night, according to authorities. 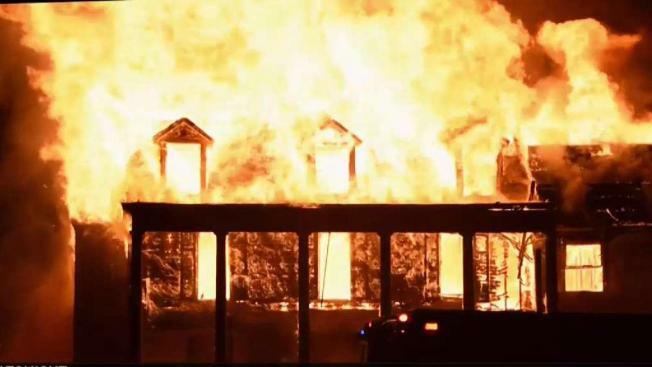 The Ebo Hill mansion, on Edgewood Avenue in Smithtown, was gutted in the blaze about 8 p.m., officials said. A cause for the blaze wasn't immediately available, but the fire comes just weeks after a prospective owner told Newsday that he was going to restore the 11,000-square-foot home to "look like it did the day it was new." It's not clear if the sale had been completed. Footage from the scene shows firefighters putting water on the house, which had flames spouting more than a dozen feet above the roof. According to Newsday, the home was built in 1845 and belonged to several generations of the town's founding family. It had last been occupied in 2001 and had fallen into disrepair over the last 17 years. Officials said the blaze is being investigated the Smithtown Fire Marshal and the Suffolk County Police Department Arson Squad. No injuries were reported.